Every new mother at certain point of time would have heard about a concoction or food to increase your breast milk supply. Many mums (including me) have faced low milk supply troubles at some point in the breastfeeding journey. 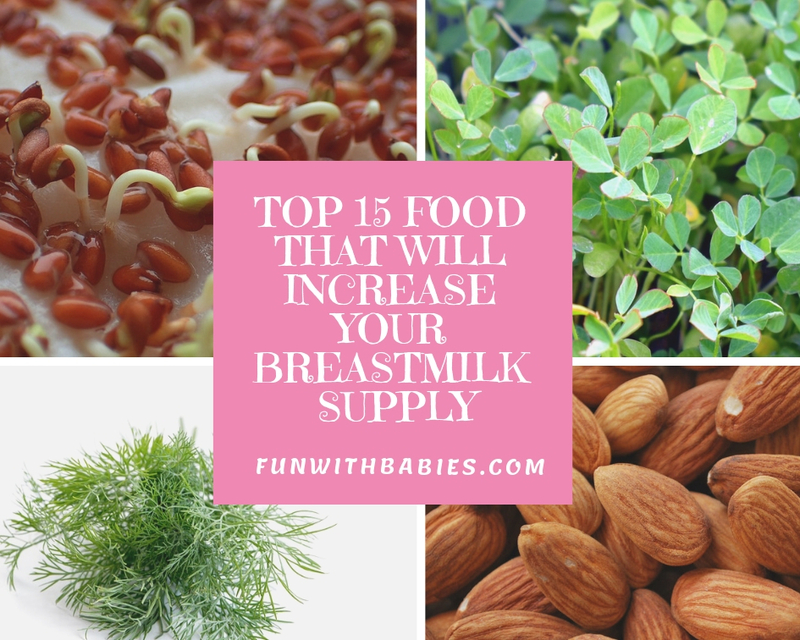 During that time I would try everything and every suggestion to somehow increase my breastmilk supply so that it will be beneficial for my little one. Let’s see how it works, When you are breastfeeding your baby, you need to be very conscious about what you are eating. Being conscious about your diet will help you stay healthy and n turn your baby as well.In India we believe in giving a very specific diet to new mothers. Breastfeeding mothers should take care that they do not eat anything that might cause indigestion to them. Because something that causes indigestion in you can cause indigestion in your baby. Some kids tend to have respiratory problems, allergies, skin rashes, etc because of some foods taken by the mother. This happens in rare cases but why take the chance. Eating clean and healthy will help balance and maintains a mother’s health. After 9 months of taking care of the baby inside her body, the pains during the labour, the blood loss and breastfeeding, a women’s body is bound to be exhausted and weak. To overcome this exhaustion she needs to eat well and focus on having food that will help her body recover. Almonds are a handy snack (belongs to nuts family). It is very good and a easily available food to increase your breast milk supply because it is packed with nutrients, vitamins and antioxidants. Best way to have your almonds is to soak almonds overnight and eat it (without skin as suggested by Ayurveda). Have you noticed that after a breastfeeding session you feel thirsty ? Water is the main part of our body. Hence to avoid dehydration in your body, you should keep drinking lots of water. Also now a days Doctors suggest all new moms to continue the prenatal vitamins even after delivery to combat with lack of vitamins and minerals ( blood loss and breastfeeding). So to avoid problems like constipation you need to have lots of water. Raw papaya can help in improving digestion and boosts metabolism. It also has a huge amount of potassium and is full of nutrients. It is one of the foods to increase your breast milk supply because of its lactogenic properties. You can use raw papaya in below recipes ( as it is not really tasty and sweet as the ripe ones). Fenugreek is another food that increases milk production. It stimulates the lactation glands, hence helping in milk production. In India, we regularly eat fenugreek leaves and seeds as a part of our diet. It is used regularly in many recipes. Below are a few recipes which you can use fenugreek in. Fenugreek Tea , Fenugreek Leaves Salad and Fenugreek Capsules – Consume these capsules only if not available fresh. Powdered Form : Added into curries or salads. If you are not used to consuming fenugreek in any amount please refer here for greater detail in how to introduce gradually and with caution. Ayurveda has provided us with a lot of natural herbs which not only increases the quantity of breast milk but also it enhances the quality of milk. Shatavari is one of them. Shatavari kalpa is in powder form. Whereas Shatavari leha is in semi solid form which you can eat and then drink a glass of warm milk for best results. A good read on details about “Shatavari during and after pregnancy “. You can buy Shatavari in your nearest Ayurvedic stores or order online here “SHATAVARI KALPA”. Mother’s milk tea is an herbal tea (food) which helps increase your breast milk supply. Fenugreek, fennel, anise, blessed thistle and rosemary are a few ingredients . Many of the ingredients helps the breastfeeding mother relax and hence it will help in boosting your milk supply. Read more in detail about “Mother’s Milk Tea”. You can easily find it online here. Dink ladoo is one of the ancient Indian desserts specially made for new breastfeeding moms. This dessert or ladoo is made up of edible gums, raisins, dry fruits, nuts, desiccated coconut etc. This desert in bulked up with calories to compensate a new mother’s loss of nutrients because of delivery and breastfeeding. It is said to speed up a mother’s recovery. This dessert is best suggested for nursing mothers but pregnant ladies are not advised to eat it as it causes heat in the body. This dessert is not only good for lactation but also good in reducing back pain and lubricating joints. All the above reasons makes it one of the best and widely used foods to increase your breast milk supply. From a very long time this dessert is being given to new mothers all over India just with a little variations. Here is one of the easy recipe of making this awesome, healthy and nutrition packed Indian dessert “Dink Ladoo”. Chamomile tea is know to improve your sleep quality ( sleep is the best thing you need post delivery right ???). It benefits your heart health and improves your digestive system too. 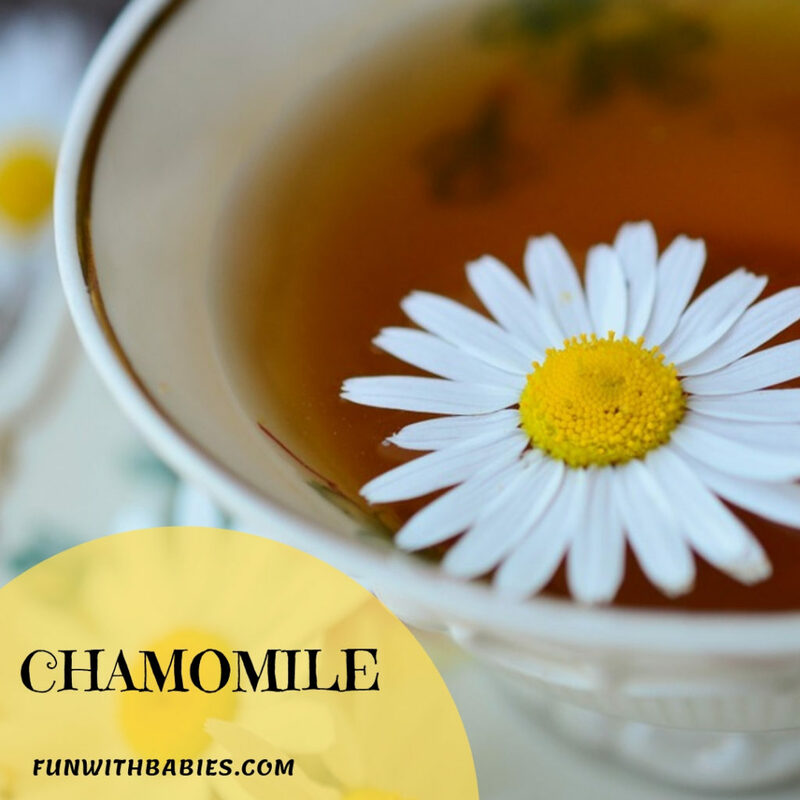 Chamomile tea benefits you by reducing your anxiety and stress which most of us have during the postpartum phase because of sleep less nights and other health issues. Main key to have a good let down while breastfeeding is to relax. Hence chamomile can be best food to increase your breast milk supply because of its stress relieving properties . Please visit the below link for an awesome explanatory article about Chamomile in detail also with a few simple and easy recipes for chamomile tease. I have chosen mine!! Hurry up shop for your CHAMOMILE and choose your recipe and sip away. Avocado, Asparagus, Okra, Lettuce, Carrot, Beetroot, Garlic, Spinach and other leafy vegetables. Vegetables are always good when you consume them but it turns out you need it more when you are pregnant and breastfeeding. You can have cooked and sautéed vegetables or you can have it in soups or as curries. The key is to have a colorful bowl of vegetables 🙂 . Oats is a whole grain rich in nutrients and iron. Low iron postpartum causes a decrease in breastmilk supply. Eating oats will balance the iron content in your body. Additional benefit is that oatmeal helps in reducing cholesterol in body. Many mothers have said that oatmeal is also one easy to make and available food that will increase your breast milk supply. Oats is something delicious (lots of recipes on how to make it tasty) yet so beneficial. A simple recipe for oatmeal lactation cookies made with all the ingredients good for a breastfeeding mother. Barley is a very rich source of potassium, calcium, magnesium and iron which is very beneficial during pregnancy and during breastfeeding. It is also rich in dietary fibers which will avoid constipation etc. Barley is also a good source of folic acid. It has lactogenic characteristics hence making it one of the foods to increase your breast milk supply. You will find some simple and tasty recipes here. 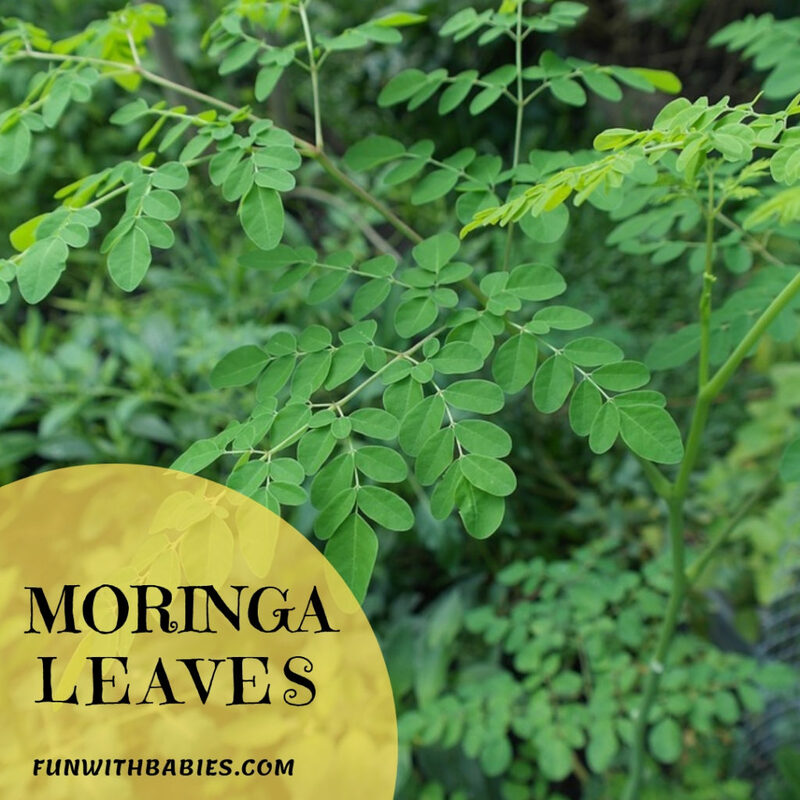 Moringa leaves is very rich in vitamins A, B, C and other essential nutrients such as calcium, protein and iron. This nutrients are all very beneficial for a nursing mother. It is full of healthy fibers hence it can help you lose your weight in a healthy way. It is good to be consume Moringa in moderate quantity as a food to increase your breast milk supply. You can consume them in salads, curries and soups etc. You can find some tasty and yummy recipes on here. Moringa Powder can also be used in curries soups etc. and is easily available online. Sweet potatoes are rich in vitamin A, potassium and catenoids. Whatever a mother eats in a way goes to the baby, because the baby is dependent on the other for nutrition for the right growth and development. Also it is the tasty and stomach filling vegetable easily available. *** Please check if you are allergic to any items before you start consuming. Also always consult your doctor if you have any doubt regarding any method you are using to increase your breast milk supply. Breastmilk supply basically works on demand and supply routine. So feed your baby frequently and keep emptying your breasts to help your body know that it needs to make more milk. If your baby is not emptying your breasts every time he or she feeds you should try “Breast Pumping” to keep up your supply. Consequently even though some health practitioners, nutritionists and mothers (like me) feel that somehow eating a particular food or a few foods to increase your breast milk supply helps, Experts do not actually have a research to support that. The theory they believe is when a mother thinks her eating something will increase the breastmilk, she will relax after having that particular food and this relaxation will help her have a better let down and in turn more milk will be produced. There is no harm in trying all the above remedies as they are all healthy options so it will do good to your body anyway. All these food will help you maintain a healthy balanced diet and keep your body filled with all the nutrients and energy you need. It is a great effort of yours if you are trying to research something like this so your baby gets more of your breastmilk. You already are a great mother!! You are the best for wanting to give the best to your baby but it is ok too if you need to formula feed him because of low milk supply. So all the new mothers out there try whatever food you feel comfortable with and like to eat to become healthy and sit back and relax. It is the best key to increase your breast milk. Happy relaxation and Happy Feeding!! What is the main nutrient to improve baby health? The main nutrient for baby is mother’s breast milk. Every mother’s breastmilk is customized according to her baby’s needs. Whatever nutrients and vitamins are required to improve baby’s health will be provided from the mother’s milk itself. For example a mother with premature babies will have a different set of nutrients in her breast milk than the full term baby’s mother’s milk. I hope I answered your question.